This page gives a taste of all my books, but further details for each one are provided on a separate web pages …including how it was created and the publishing process. 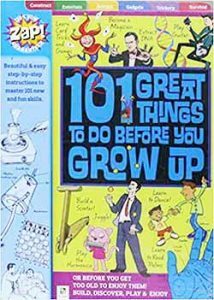 Published worldwide by Hinkler Books as 101 Things to Do Before You Grow Up in 2009 (left) and re-released in paperback as 101 Great Things to Do Before You Grow Up in 2015 and as a Kids Create 101 Things to Do Before You Grow Up in 2016. You can’t claim copyright on a book title, so there are other books with the same title produced by other publishers, with totally different content by other authors. My favourite activity that’s included? Extracting DNA in your kitchen. Published 2014 by The Five Mile Press/Bonnier with a sing-along CD by Rusty Berther. Illustrated by Nina Rycroft. 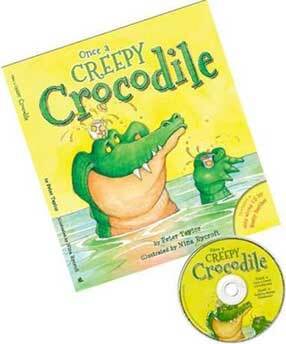 This story is in rhyme and has the same rhythm as the famous Australian song Waltzing Matilda. Please follow this link to find out more about the book, how it was written and published, and to links for free music, drawings of the characters and true facts about the Australian wildlife featured. 2018 Update – Sadly, the European headquarters of Bonnier closed their Australian ‘Five Mile Press’ imprint this year, so new copies of the book are no longer available. HOWEVER…the words of the text appear on the free sheet-music, and the drawings of the characters can be made into stick puppets so you can create your own version of the story. Use the link above to find these. I have hand-puppets of all the animal characters in the story and love sharing them with children to develop their own retelling. 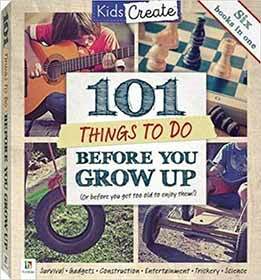 First published by Hinkler Books in 2010. For ages 9+ to adult. 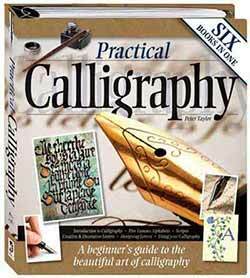 An informative and easy-to-follow guide to the beautiful art of lettering and handwriting. Follow the simple instructions to master classic alphabet scripts and learn how to modify and personalise these styles for an infinite range of stunning effects. 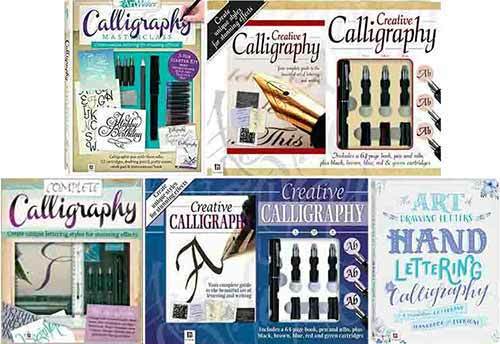 Have fun designing letters and creating your own individual calligraphy styles. 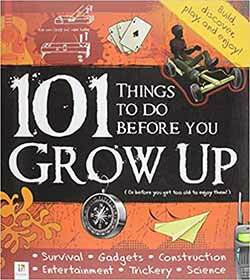 Hinkler has since selected sections of this book to create a number of spin-off products. Calligraphy Masterclass was published in 2018, and is all my content. The Art of Drawing Letters: Hand-Lettering and Calligraphy was also published in 2018, but contains the work of graphic artists as well as my contributions. Published by GMC Publications in the UK, 2010. 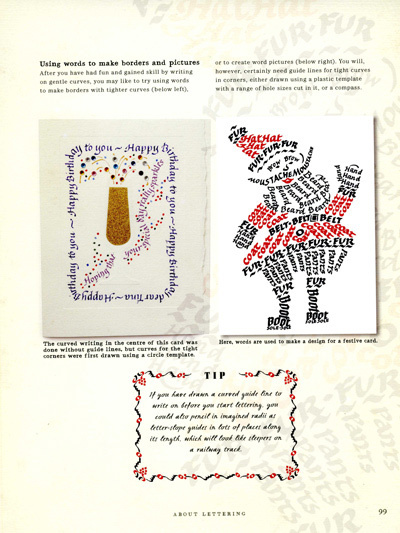 Children from about 9 years-old up to and including adults will enjoy using the techniques for a wide variety of projects – not just cards and scrapbooks. It took nearly 2 years to write, illustrate and produce, with close to 300 pictures of different sizes – I hope it inspires all readers to be creative. “Any beautiful craft book may awake the desire to create something special. A detailed how-to beginning with the basics may provide the confidence to do it. To find both the inspiration and the know-how in one book is irresistible. This is not only the most attractive calligraphy book I’ve seen, it is also the only one that has answered my dumb questions (why do the folds in my cards look so amateurish? ), solved my recurrent problems (how can I kick-start a pen in which the ink has dried?) and even demonstrated how to rescue – stunningly – a piece of calligraphy whose spacing I’ve bungled. The basic alphabets are not merely illustrated, they are explained. From step-by-step photos I’ve learned how to make those stylish flourishes at the end of words. 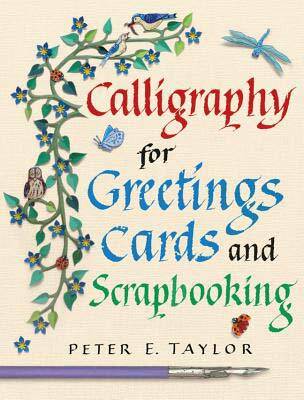 How to choose pens, or make my own from bamboo or balsa wood, how to write on a curve, make engraved letters, pop-up letters – and even how to avoid postal damage to a delicate card. (Did you know that posted letters are usually sorted through rollers?) All this in a book whose every page is a small masterpiece of design on its own subtly patterned or colour-washed background. Yes, the publisher’s designers did wonders to create a book that is far more beautiful than I could have imagined, with pale versions of some of the illustrations used as page backgrounds. They asked me to create small extra decorations and borders…we’re all proud of the finished version. 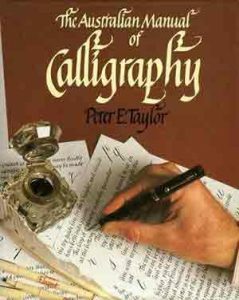 Published in 1987 in Australia by Allen and Unwin and by HarperCollins/Unwin Hyman in hardback and soft cover versions as A Manual of Calligraphy in the UK, New Zealand and elsewhere. It’s long out of print, but many people tell me their copy is a treasured possession. 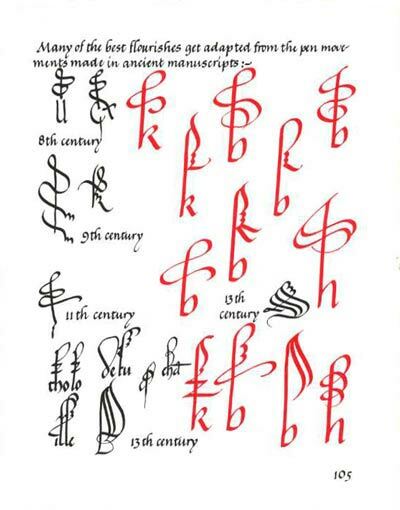 The text of all 207 pages was handwritten in Italic calligraphy in black and red on A2 sized sheets of paper. The internet and computing as we know it were in their infancy. A representative of the publisher travelled 600km from their office in Sydney to my home to collect the finished artwork. They then nursed it on a plane to personally deliver it to the printer in Hong Kong. At talks, I can show people how the book was created. At one time it involved a team of Chinese ‘surgeons’ dissecting the printing plates with scalpels to produce colour separations. Copies are often available on eBay for about $10. One day, I may type it out and make it available on CD or in pdf format, but all the diagrams and colour plates will make it slow to download. I’ll experiment. I’ve enjoyed writing and drawing since I was old enough to handle a pencil. At the museum where I worked in 1971, I wrote audio visual commentaries to accompany slide shows. ‘Self-publishing’ by the organisation consisted of typing on special wax-coated paper ‘skins’ to cut a stencil. This wrapped around a drum on a Gestetner machine which squeezed ink though the thin paper of the stencil where the wax had been disturbed. If you hammered the typewriter keys too hard, the centres of letters like ‘o’ and ‘e’ were cut out completely, resulting in black blobs on the copies. Line drawings were added by an electrostatic process that melted the wax with a spark. One production I created this way was on British ground-orchids. 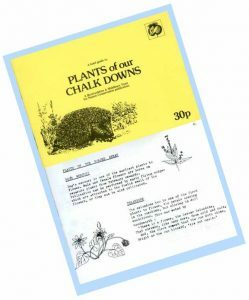 The process was also used for the first edition of a small book I wrote and illustrated in 1978, on chalk downland plants. It was initially produced to give to visitors to Hexton Chalk Pit Nature Reserve that I managed, providing obscure and interesting facts about the species they may find. It was later published by the Hertfordshire and Middlesex Trust for Nature Conservation using better technology. Photocopying was very expensive in the late 1970s. If mass production was required, master copies were transferred in a darkroom to light-sensitive metal printing plates, which were subsequently developed. When dry, fine white detail could be added to the plate by scratching with a scalpel or needle. 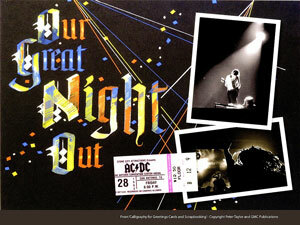 The plates were used in the offset-litho printing process which involves inks. Today when a large number of copies of a books is required, offset-litho is still used because it gives the best quality products. But it’s too expensive for small quantities. Print-on-demand (POD) technology is basically a laser print. It allows creators to send a computer file of the book to a business that then prints single copies as buyers order them, and provides delivery. For authors and illustrators, Ingram Spark, Lulu and other printers create good quality POD books. For those who are considering this, I recommend buying a copy of any of the printer’s similar books before deciding if you are happy with the quality for printing your own works. Some publishers have better printing machines than others. Look for white lines that appear across dark areas. The colour is improving, but is it identical to an offset-litho printed traditionally published book by Penguin, Walker Books or HarperCollins (and the cover may be less substantial)? Compare and be honest…but children and adults still love a good story printed this way.